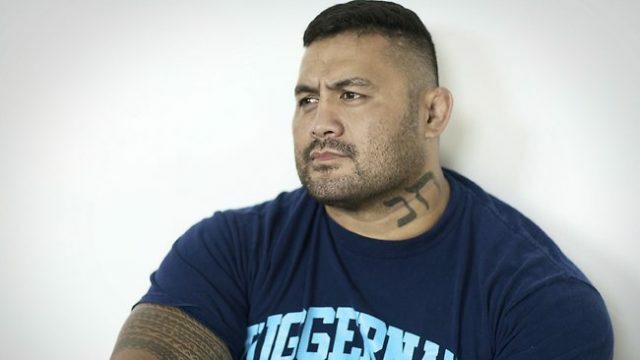 At UFC Fight Night 65 last month (May 10, 2015), Mark Hunt once again proved how big his heart is. The former K-1 stalwart was battered by Stipe Miocic, but he wasn’t stopped until the fifth and final round. After losing his UFC debut to Sean McCorkle back in 2010, Hunt went on a four-fight winning streak. The victims of that tear included names such as Ben Rothwell and Stefan Struve. Junior dos Santos put an end to Hunt’s streak with a spinning hook kick at UFC 160. 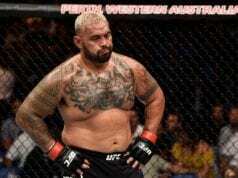 Following a war with Antonio Silva and a knockout victory over Roy Nelson, Hunt earned himself an interim heavyweight title opportunity against Fabricio Werdum at UFC 180. Hunt was finished in the second round via a flying knee.